I don't do these very often, in fact the last one was a couple of months ago. Here's some bits and pieces that may, or may not, interest you. Karen Healey is one of the many fantastic Tenners that is currently roaming the YA blogosphere like graceful gazelles. Her debut GUARDIAN OF THE DEAD will be released via Little, Brown and Allen&Unwin in 2010. Karen's a top chick and she is giving away Australian and New Zealand YA titles on her blog. Catch it over here, there's a new title each week. Hurrah for OZ/NZ YA! The lovely My Friend Amy is hosting a Book Blogger Appreciation Week from September 14th-18th. As part of the celebrations there will be many prizes, posts and activities galore, check it out to register - at this point 98 people have signed up! Also award nominations for outstanding book blogs will be accepted from tomorrow here. I am unfortunately seeing this movie on Friday night. It's unfortunate as normally I would go alone to the first screening but my friend has convinced me to be less anti-social which involves waiting. I am a huge Hermoine/Ron shipper so I can't wait for the immense argy-bargy that will be occurring in this movie. Also, Jim Broadbent...I love him, he's Prof Slughorn and I so want to adopt him as a grandfather. My most fervent wish for this movie is that Emma Watson's eyebrows take a chill pill, her fake laugh becomes less fake and that she learns to express anger/sadness/frustration/anything with something other than scowl. Here's hoping! 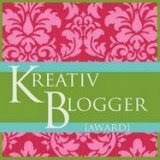 I was awarded the The Kreativ Blogger Award from readergirl -thank you so much! This is also a meme, so here are the rules: If you accept it, you are supposed to list seven of your favorite things (I am going to be superficial) and nominate seven blogs that deserve this award (I am changing this to 3 because my brain might implode). Who am I passing this onto? 1. Khy at Frenetic Reader - Check my Gallery section if you need to know why. 3. Kristi at The Story Siren - her ALA posts have made me feel a part of the awesomeness! I have been given a HUGE honour but I can't say anything for another week. It's killing me. 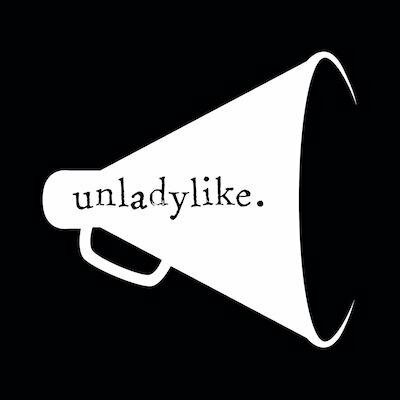 I am working on a document that will provide a guideline for bloggers (new and old) on what's acceptable in the YA blogosphere. I have emailed MANY YA authors and bloggers about the different facets of blogging behaviour from ARC requests, public events, swag asks, blogger requests etc. I emailed all those people that were in my contact list so I have missed heaps of people. If you have something to contribute please email me at p.snark (at) gmail (dot) com. I am not revealing names of any contributors as I don't want to make this accusatory. BUT having read some emails already I have learnt a lot. I have added a link in my top link bar so that you can find an online Australian bookseller to order a title that's grabbed their interest. Having read Saltwater Moons this week I am all a-buzz with the need to get some great poetry into my system. Has anyone got some recommended collections that you think I would like. Buying poetry is my goal this week. Help me out. There was an extended twitter discussion about the 1990 movie, The Cutting Edge, last night. It's the perfect blend of ice skating, angry URST, bad music and plain old awesomeness. You'd be surprised how many people adore this movie. If you haven't seen it, do so...immediately. Thanks for the link, Adele! Hope you enjoy HP! I'm not seeing it 'til Thursday night, but I can't wait. Love Ron/Hermione! (or just Ron, but y'know).